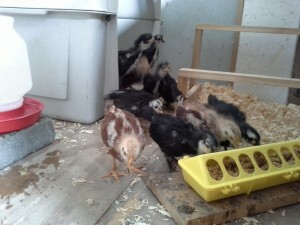 The latest addition to the RindyBerry egg laying crew are getting big and as they grow so do their accommodations. They were a couple of weeks old when we determined the height of their brooder needed to be extended. 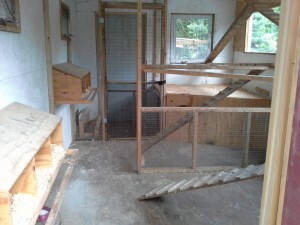 At the same time Rod added a custom built “jungle gym”, giving them room to roost. 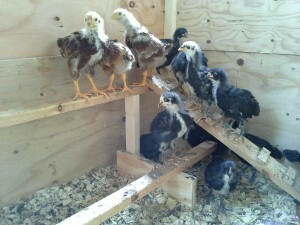 This was a hit, but we knew it wouldn’t be long and they would need to leave the brooder for the “big house”. 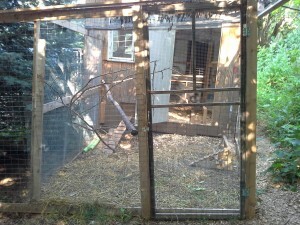 The chicken coop, was originally built with the option of splitting the coop by hanging chicken wire and a screen door. 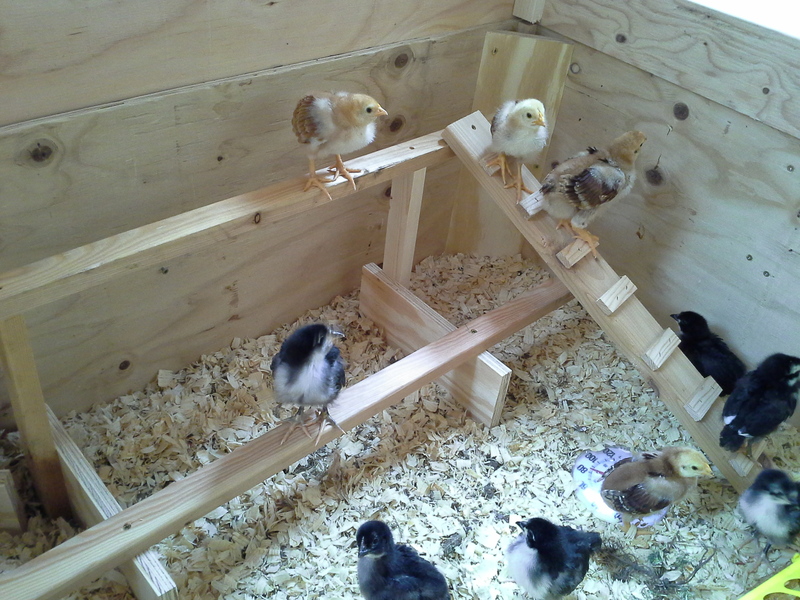 This is helpful when integrating new chickens into the flock. 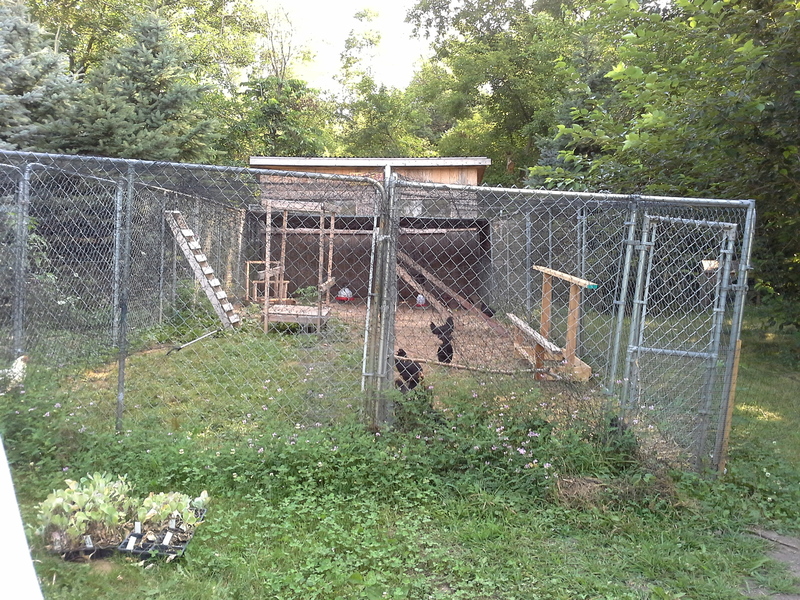 It was now time to hang the screen door and wire, but the hens use both sets of nesting boxes so the screen door was re-framed and plywood installed to give them a quiet place away from the nosey big hens. This will be plenty of room for now. With the adjustments complete, it was time to move the newbies. It had only been two weeks since we extended the height of the brooder and as you can see they’d grown considerably. Poor things, they hit that ugly adolescent stage. 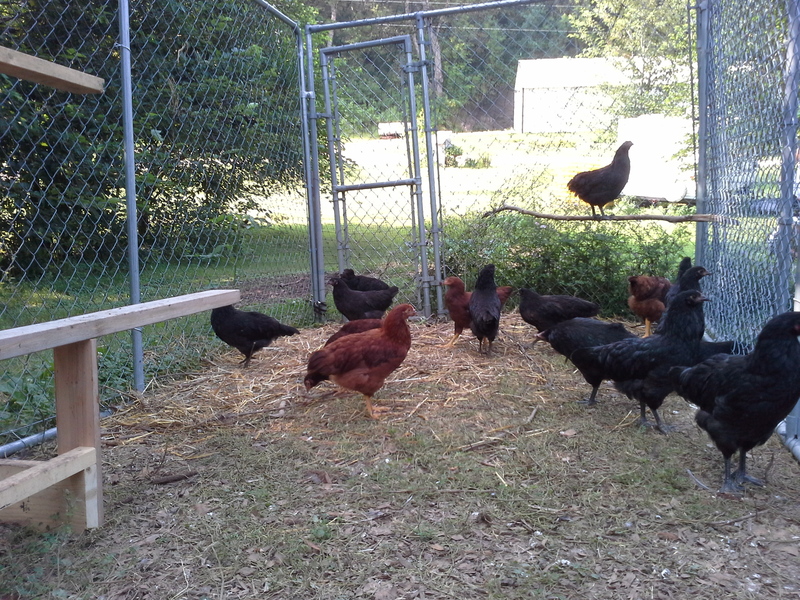 We set the dog crate (used for transport) in the corner of the coop and allow them to work their way out into their new digs. About a month after their move we found a good deal on a 6’x12′ kennel. We had a 10′ section on hand but needed another 20′ to split the main chicken run. With the panels in place the teenyboppers (as we refer to them) have room to play. The next task will be to take the plywood enclosure out of the main coop and hang more chicken wire. 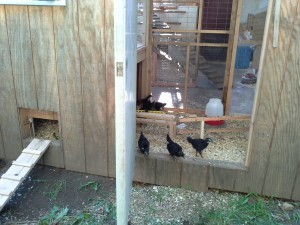 This will expand their coop space. Integrating chicken flocks is a process for sure. ← In search of the “First Sister”.